1.2.1 Some tips for Adsense approval for youtube are given below. 1.3 Now let’s talk about getting Google Adsense approval for your website or blog. Today, in this article, I will share some information regarding Google Adsense. Here you will get Top 8 Tips to get Google Adsense Approval in 10 days. If you are also interested to know about these tips then you must read this article till the end. Do you want to earn online? How to qualify for Adsense through blogger? How to get Adsense approval for WordPress blog? How to get Adsense approval easily? If you also have these questions then you are at right place. Here I will share some information about Google Adsense approval. Many people ask me about the latest Adsense approval tricks 2019. If you are also one of them then you must read it. Google Adsense is a genuine way to make money online from a website or blog. You can also make money through youtube and Google Adsense. This is one of the best ways to earn money online. Here you will get tips to get Google Adsense approval for these platforms. So if you want tips for these platforms then you must read this article till the end. Youtube is one of the best platforms to share information in the form of videos. Here you share some valuable content for your audience. And everybody expects some money from their work. To get Adsense approval, you need to fulfill some eligibility criteria. Once you fulfill your eligibility criteria, you will get Adsense approval from Google. And then you can earn money from your videos. Here I am giving a video to get Adsense approval for a youtube channel. I hope this video will be helpful to you. If you have any questions regarding this video then you can ask them into the comment section below. I will give you an answer to your questions. Some tips for Adsense approval for youtube are given below. You should upload only genuine and unique content always. Do not publish any harmful or adult content. Share with your friends in all social media platforms. You need 4000 hour’s watch time in the previous 12 months. You need 1000 subscriber in your youtube channel in previous 12 months. Your channel hasn’t any adult content. Your channel hasn’t any harmful content. Now let’s talk about getting Google Adsense approval for your website or blog. If you have a website or blog. And you want to earn money online then Google Adsense is a very good way to earn money online. Here you need to get a lot of traffic to earn money from Adsense. If your website has a lot of traffic then you can easily get Adsense approval for your website or blog. First of all answer me in the comment sections that, why you should need Adsense? Most of the people answer that they want to get Adsense for their new website and earn money from blog. But you should consider that, if your website hasn’t any traffic then how can you earn from adsense? So first of all you should focus on get traffic in your website. If your website has enough traffic and still you are not getting adsense approval then you should read these tips. And implement them into your blog or website. You should buy a fresh domain for your website. As we know that ‘content is king’. Google always gives priorities to the best and unique content. You should never copy any other’s content in your blog. Always write the content yourself. You should write at least 10-15 blog posts in your website. You should use genuine images in your website. Never use copied images in your website. You can get genuine images from Pexels.com. If you have a blog or website then update it regularly. So you should focus on publish content regularly. Because Google gives priority to updated websites. This is a plus point to get adsense approval. Create a about us page in your website or blog. Here you should explain about your blog. You need to write a brief description about your website. So make sure you should focus on about us page for your blog or website. 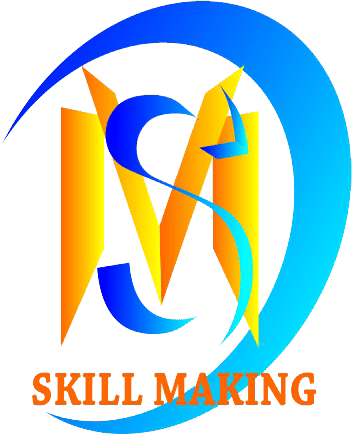 You must create a contact us page in your blog. And you should write contact information about yourself. This is also very important page for your blog or website. This is also one of the most important pages for your website or blog. Here you need to define privacy policies about your website. These are some tips to get adsense approval easily. Once you will setup your blog like this then you can get Google Adsense approval in 10 days. 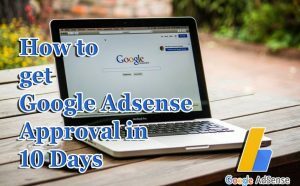 Finally, you got Top 8 tips to get adsense approval in 10 days. I hope now you will get adsense approval. If still, you are facing any problem to get adsense approval then please share it in the comment section below. I will try to solve your problem. If you find this article useful then please share it with your friends on facebook or twitter. And tell me about your thoughts in the comment section. Thank you for read this article till the end. How to get Adsense Account approved for blogspot with a little trick. This entry was posted in blog, blogging, digital-marketing, make-money, seo and tagged adsense approval, adsense approval tricks 2019, get adsense, google adsense, google adsense approval tricks, how to get google adsense approval. Bookmark the permalink.